Geoff Stevens From rural beginnings in Southland, Geoff moved to Queenstown during February 1981 where he purchased and began operating a successful commercial tourist jet boat business for 13 years on the Shotover and Kawarau Rivers. After selling the jet boat business Geoff moved into the real estate industry early in 1994. He became a consistent high achiever within Harcourts New Zealand and has been a National Top 20 performer. 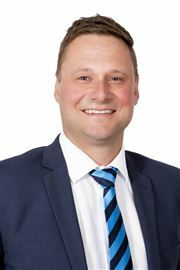 After many years of sales success he temporarily moved to Dunedin during September 2010 to take up the opportunity of managing the newly acquired Harcourts office consisting of 20 staff. During this time he oversaw a large change of personnel, a move to new high profile offices, and a doubling of the office market share. Geoff moved back to Queenstown at the end of 2012 to take up a position in sales once again and then in late 2015 moved back into management of the Queenstown office. The experiences of operating in both the Dunedin and Queenstown property markets have been invaluable to him and his clients. Geoff has been a business partner in the Highland Real Estate Group for many years and has a shared vision with his business partners to grow and develop their 6 office network. Outside real estate, Geoffs interests are his family, fly fishing, boating, rugby, and property investment. Geoff is married to Lois and together they have two adult children; Hunter and Molly. During 2002 he was appointed a Justice of the Peace. Geoff takes great pleasure and satisfaction from helping people achieve their goals and ambitions with their real estate needs. He offers a dedicated and considerate attitude with many years of real estate award winning performance, and experience. Kelvin still holds the same beliefs as when he created the company in 1995, that success comes from surrounding yourself with good people in an enjoyable work environment and the client experience is paramount. 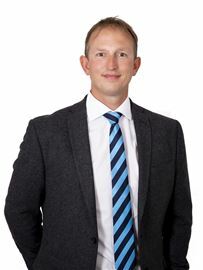 He has been through three property market cycles and combined with a background as a Registered Valuer is respected for advice given to clients over the years whether first homes buyers or institutions. Kelvin has been actively involved in various community groups and organisations over the years and is currently a Director of Otago Rugby Union and Downtown Queenstown, spokesperson for REINZ in Queenstown and is the South Island representative on the Harcourts Franchise council. He is a director of several private companies. Kelvin is married to Ruth and they have 3 grown children. Outside family you will find him on the golf course or thinking of a bike ride. A Queenstown local through and through, Adam holds in-depth knowledge and a special appreciation for his home among the mountains. He quickly established a great reputation in the local property scene and, after joining up with highly regarded consultant Kirsty Sinclair in 2017, can now offer his clients even better service, efficiency and results. Adam has an energetic and proactive approach when delivering your property to market. His motto is “Communication is key” and with that comes infallible honesty and integrity. He boasts creative flair and a refreshing, consultative style — he strives to understand your perspective, offer valuable advice and look after your goals. Adam comes into his own as a dedicated buyer’s agent with his strong negotiation skills, resilience and determination. He and Kirsty are a well-rounded team with the resources to put you first and the required focus to achieve the best possible outcome. You’ll enjoy every step of the process with their fun personable manner and the excellent results they so reliably deliver. When you choose Adam, you can expect him to: -	have your best interests at heart -	work diligently and efficiently for you, and -	get the best result possible, whether you’re buying or selling. Call Adam today — he’d love to help you out wherever he can. Technologically savvy and a strong advocate of new marketing techniques, David’s skills help him find the best buyer for your property, faster. He offers unrelenting attention to detail and clear communication while identifying and negotiating the best outcome for you — a naturally practically-minded person, he sees the whole picture around your transaction and adopts a methodical streamlined approach which gets results. Add to the mix his drive and energy, and it’s easy to see how he’s established himself as an outstandingly high performer in Queenstown real estate. Having delivered great success for many buyers and sellers over the years, David chose to join Harcourts in 2017 after recognising the need to develop his skillset and grow as a professional as his business expands. Now, with next-generation technology, innovative marketing and proven systems at his fingertips, David is empowered to work smarter and go even further for you. David has personal experience as a property owner and landlord for 20 years and, originally from the UK, he possesses an in-depth knowledge of buying, selling and renting property both internationally and domestically. After acquiring a BA (Hons) in Music Industry Management and Live Production, David enjoyed a varied career in the music industry promoting and marketing artists across Europe. David then travelled the world for several years before settling in Queenstown in 2011. The fantastic lifestyle is what drew David and his family here — they love spending time together in the great outdoors and David particularly enjoys cycling, hiking and rock-climbing. He loves music and, since having a little girl, David’s newfound hobbies include Peppa Pig, Frozen and the Remarkables Sweetshop. David’s know-how and determination to succeed for you is why you should be buying and selling with him — his service, energy and openness is why you’ll want to. If you’re looking for an agent who you know will listen when you’re talking, who really cares and who will get the results you want — give John Galt a call! John brings 11 years of sales experience to Harcourts, and what sets him apart is his upbeat, can-do attitude, his honesty and his integrity. Born and raised in New Zealand’s Deep South, John relocated to Central Otago in 2005. He took up a position at Smiths City in Alexandra before becoming the manager of its Queenstown branch in 2008. John quickly built up a reputation as the go-to-guy at Smiths City. He combined his exceptional customer service skills with an extensive product knowledge to easily build rapport with and gain the trust of a large and regular customer base. John developed a superior understanding of interior design and a great eye for dressing property as he regularly staged houses for sale. You can trust that John’s vision will give rise to beautiful results with any property. Since buying his first home in 2011, John has avidly monitored the property market, its trends and related industries, making him an informed and reliable source of knowledge. At home you can find John cruising in his classic car, working on a DIY project or walking Van, his Golden Retriever — but you can be sure his phone is always on! Exceeding expectations…………. It’s a simple motto – but that is my goal with every one of my real estate clients and every transaction. With over 14 years’ experience in the local Queenstown real estate market, what still motivates me beyond all else, is going on this amazing rewarding journey with my clients. I have enjoyed securing brilliant outcomes and developed lifetime friendships based on honesty and trust. I am forever grateful for all the referrals past clients have entrusted to me. Attention to detail is so important! I take a teamwork approach and am lucky to have an extensive full suite of professionals on hand to ensure the property is ready for sale including gardeners, professional cleaners, painters, home stagers, whatever may be required to secure a positive outcome. Particular attention goes towards a well targeted marketing and advertising campaign, utilising the skills of a professional photographer, copywriters, video campaigns and tailored marketing to suit each individual property. A combination of hard work ethic, excellent people skills and clever proven negotiating experience is all part of the package I bring to the table. I am here to make this journey as seamless as possible, that’s my job. “It’s not what you know, it’s who you know” That old saying is so relevant when it comes to sourcing real estate. 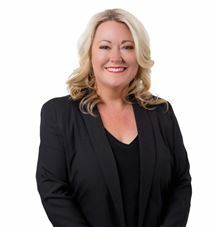 With the whole experienced team within Harcourts, you will have access to a combined group approach when trying to locate that perfect dream home, investment property or rural lifestyle. All you need to do is tell me what your requirements are and let me do the rest. I so look forward to helping you and exceeding your expectations… please contact me anytime. A respected long-term local based in Queenstown and covering Central Otago, Nick is trading under the NAI Harcourts brand and heading up the group’s first commercial real estate office in this area. 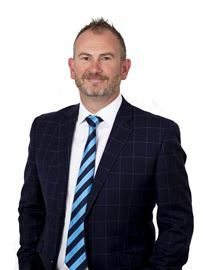 Having joined Harcourts Highland Real Estate Group in April 2016, Nick brings with him a wealth of knowledge and experience as a former CEO of the Queenstown Chamber of Commerce. Nick has an extensive hotel management background having previously worked as General Manager for seven different hotels. He then spent many successful years selling and leasing tourism ventures, businesses, hospitality and commercial real estate in the north of the South Island. Nick completely understands business from start-ups to established corporations: he has wide-ranging board, company and director experience. His first-rate financial background includes managing multi-million dollar turnovers, working with businesses as CEO of the Chamber of Commerce and operating his own business and consulting company. 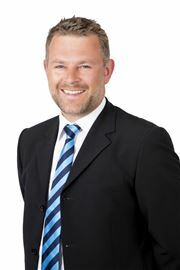 Since joining NAI Harcourts Queenstown, Nick has sold many properties and businesses for a large number of clients. These have encompassed freehold investment accommodation and accommodation leases as well as hospitality businesses including restaurants and bars. Nick’s breadth of experience and knowledge, combined with passion and enthusiasm for his role, make him Queenstown’s go-to consultant for tourism, business, hospitality and commercial sales and leasing. Having lived in Queenstown for more than 20 years, Nick wholly understands Queenstown and what makes it tick. Contact Nick today to discuss your goals and discover how he can help you achieve them. Peter is one of the Top 15 performers in Harcourts nationwide; Top 10 in Central Otago; Top 10 in the Highlands group, and Top 10 in Harcourts Queenstown for the last two years. Results like that are usually enough for most people to pick up the phone straightaway. Feel free to do so, but don´t expect to find yourself talking to some big-noter. Peter's real estate career spans a decade of applying the cornerstone attention-to-detail he learned in his career as a craftsman carpenter, and the wide-ranging management skills he developed during 16 years running iconic Coronet Peak and The Remarkables ski areas. Peter´s enthusiasm for real estate is genuine, so much so he´s learned plenty from his own successful development interests, lessons he happily shares with clients keen to invest in something more than a lifestyle. It´s a family affair too, with wife Keren as part of the team, bringing vital support that allows Peter to move the front line forward for clients, safe in the knowledge the groundwork is well and truly in order. Many top performers love to do all the talking. Peter Bennetts lets his results speak for themselves. Drop in and let him listen to you. Mobile: 027 223 3059 Email: peter.bennetts@harcourts.co.nz View Peter's listings and follow me on Facebook. Simon and his wife Ngaire have lived in Queenstown for over 30 years, 22 years of which Simon has been involved in selling real estate in Queenstown. Simon is well known in town for his tireless support of community projects. He has spent two terms on Council, including three years as Deputy Mayor and a Committee Chairman. Also he has been the past President of the Lions, Chair of the Parish Council and Chairman of the Board of Trustees at Queenstown Primary School. Today Simon is just as involved chairing both Abbeyfield House in Frankton & the Dalefield Water Supply Scheme. Ask Simon where he gets this energy from and he will tell you he is driven by helping people. So for local knowledge, expertise and help in real estate contact Simon. First time EVER on the Market. Brand New - Waiting for you? Lakeside Living - Invest here! This cutie has a lot to offer!